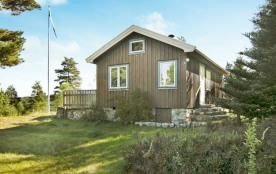 Welcome to a cosy holiday home set on the island Lilla Askerön, in the fjord between Tjörn, Orust, and Stenungsund. This is the perfect base for sight-seeing and daytrips to the charming towns of the archipelago. 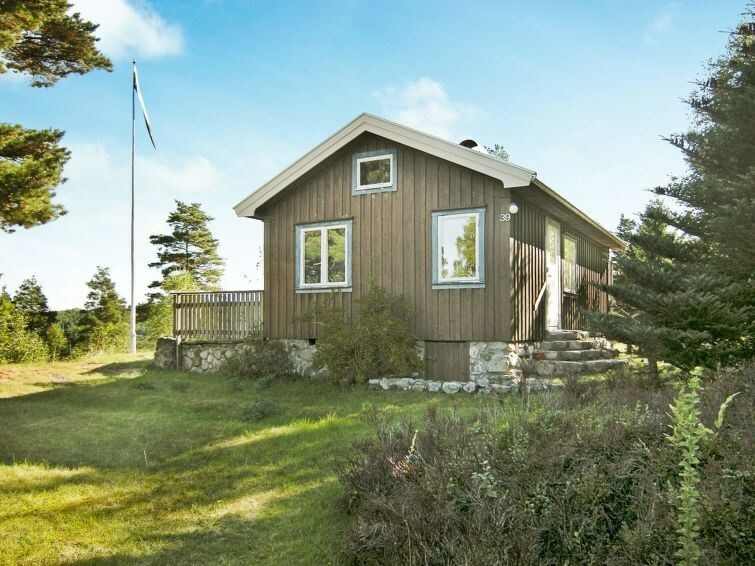 The cottage is set on a hilly plot with a forest as well as a nice lawn for the children to play on. The living room features a panoramic window with a stunning view of the fjord. There are two bedrooms with two single beds in each. Each bedroom contains a washbasin. The kitchen features an electric cooker and oven as well as a wood-burning stove. There is also a little loft here with space for one person to sleep in. You will find the WC and the shower in the annex, which is separate from the cottage. The closest town is Varekil which is five kilometres away. Tjörn and Orust offer many charming seaside towns such as Klädesholmen, Kyreksund, Hälleviksstrand och Mollösund, lovely places to visit. Sundsby Säteri offers beautiful walking paths and caves to explore. It also offers a bakery and a coffee shop. Stenungssund offers a large shopping centre and Gothenburg is only 55 kilometres away. Welcome to the beautiful west coast! Please note: The holiday home can not be rented by large groups of youths. Tjörns kommun - 5 pers.